Guaranteed student loans are Federal or state funded loans for students looking to finance their college education. They are distinct from personal, private or alternative loans in that they are backed by government funds. Up until 2010, guaranteed loans were available through private lending institutions under the Federal Family Education Loan Program (FFELP). These loans were funded by the Federal government, and administered by approved private lending organizations. In effect, these loans were underwritten and guaranteed by the Federal government, ensuring that the private lender would assume no risk should the borrower ultimately default. With the canceling of the Federal Family Education Loan Program in 2010, all Federally guaranteed student loans reverted back to the U.S Department of Education. Federally funded student loans are now administered through the William D. Ford Federal Direct Loan Program . Federal education loans offer students a distinct advantage over private lender loans in that they offer more attractive interest rates, more flexible repayment plans, and require no collateral for approval. There are four different types of student loans currently available from the U.S. Department of Education. Federal Direct Subsidized Loans are available to undergraduate students who can demonstrate the requisite level of financial need. The student’s college of choice determines the amount the student may borrow, and that amount can not exceed the student’s total unmet need. Students who qualify for a Federal Direct Subsidized Loan will have the interest paid by the U.S. Department of Eduction for as long as they remain enrolled in college, and for a six month grace period following graduation. Following graduation, students assume responsibility for all further accruing interest. Current interest rates on Federal Direct Subsidized Loans stand at 3.4%. Federal Direct Unsubsidized Loans are available to all undergraduate and graduate students regardless of financial need. The student’s college of choice determines possible loan amounts according to total cost of attendance less any other financial aid already received. Students who receive a Federal Direct Unsubsidized Student Loan will be responsible for all accruing interest in addition to the loan principal. Federal unsubsidized loans also offer students a grace period during which repayments may be postponed, but students should be aware that they will be responsible for all accruing interest during this deferment period. Current interest rates on Federal Direct Unsubsidized Loans are calculated at 7.6%. The Federal Direct PLUS Loan is available to graduate and professional degree-seeking students. It is also available to the parents or guardians of dependent undergraduate students to help pay for education expenses. Applicants for the PLUS Loan must have a clear credit history, and must have no history of defaulting on any past loans. Maximum loan amounts are calculated by the total cost of college attendance less any financial aid already received. Interest rates on Federal Direct PLUS Loans currently stand at 7.9%. The Federal Perkins Loan Program is available to undergraduate and graduate students with extreme financial need. To be eligible, students must be enrolled full-time, or part-time, at a participating college or university. Interest rates on Perkins Loans currently hold at 5%. Undergraduates may borrow up to $5,500 per academic year, while graduate level students may borrow up to $8000 per year. Federal Direct Consolidation Loans allow students to combine existing Federal loans into one more easily managed loan package. Direct Consolidation Loans are only available to students with at least one Federal Direct Loan currently being repaid or in deferment. Direct Consolidation Loans have a fixed interest rate for the total life of the loan. Interest rates on Federal Consolidation Loans currently stand at 8.25%. Before applying for any Federal Direct Loan, students must first fill out and submit the Free Application for Federal Student Aid . The FAFSA is a requirement for all Federal and state supported financial aid, and students are encouraged to make this a priority in their search for college funding. With the cancellation of the Federal Family education Loan Program, states were forced to assume responsibility for their own student loan programs. Every state in the country has its own Department of Higher Education, which offers a wide selection of grants and scholarships for its resident students. Many states also sponsor loans, and loan forgiveness programs, through their Department of Higher Education. 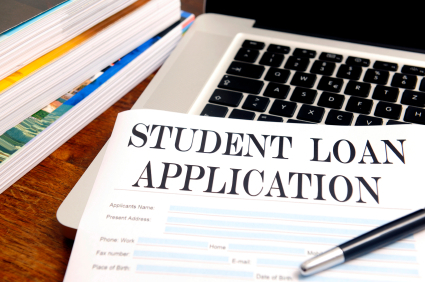 State sponsored student loans are often provided by private lenders who have been certified by the state as preferred lending organizations for students and their families. These are not, strictly speaking, guaranteed loans. State preferred lending organizations may offer more attractive loan agreements, including lower interest rates, loan deferments and student friendly repayment schedules, but they are not guaranteed or underwritten by the state. As with any private lender loan, students should research all state sponsored loans carefully, and should fully understand all of their responsibilities as a borrower before agreeing to any loan. State supported loan forgiveness plans are distinct from, and should not be confused with, proper student loans. Loan forgiveness programs are award-for-service contracts in which the state agrees to repay, or “forgive”, a student’s outstanding loans in return for service within the state in a high need profession. The majority of state supported loan forgiveness programs target students who are pursuing careers in critical need fields such as teaching, healthcare and social work. Students entering these high need professions may be eligible to have all, or part, of their college loans forgiven depending on the program and the individual contract. For more information on state sponsored loans, and loan forgiveness programs, please refer to our section on State Sponsored Student Loans .